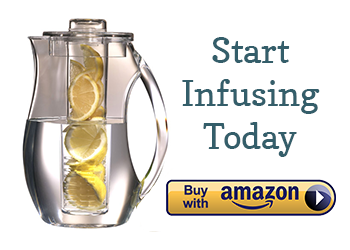 Looking for an infused water that revs your metabolism and fends off afternoon tiredness? With the help of a little caffeine from black tea, this infused water recipe will really kick start your engine. Despite its long name, this water is easy to make and infuses at room temperature in only 2 hours. The overall taste is slightly earthy and floral. It’s an interesting mix of flavors that will stimulate your tastebuds, as well as your synapses. 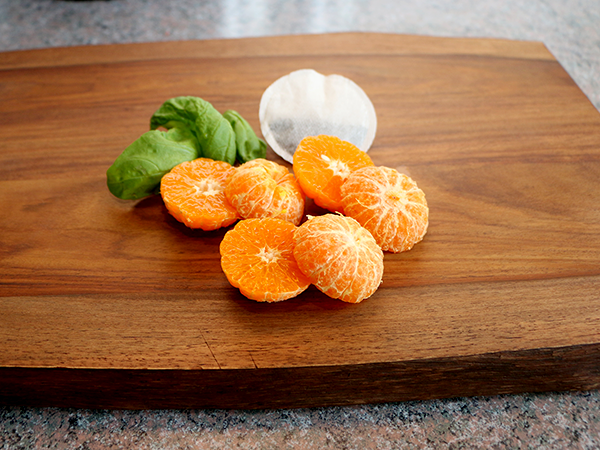 Recipe for a 32 oz Ball jar : 3 mandarin oranges, sliced in half + 4 basil leaves, torn, + black tea bag. Combine ingredients with filtered water and infuse at room temperature for 2-3 hours. Pour over ice or enjoy as is. It’s important to infuse this recipe at room temperature because of the tea. Tea does not infuse well in cold temperatures, which is why we are always pouring hot water over it! However, infused at room temperature, black tea is a pleasant, antioxidant-rich ingredient. The infused tea will also contribute a little caffeine, but less than your normal iced tea and certainly less than coffee. A note about tea: you are welcome to try any type of black tea in this recipe, even flavored black tea. However, you do not have to buy Tazo tea or anything expensive. 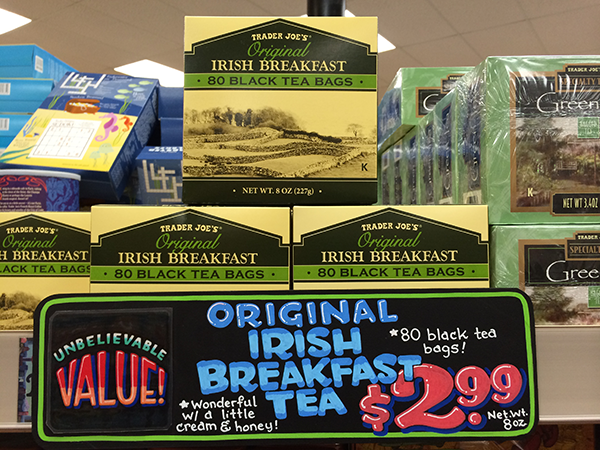 In this recipe, I am using Trader Joe’s Irish Breakfast tea, which is surprisingly delicious for the low cost. I love the taste of this mixture! I’m doing this tomorrow. Looks & sounds fabulous! Can I use dry basil or does it have to be fresh? You can try dried basil. If you are using the chopped up variety that is sold as a spice, be sure to put it in a tea ball or use a mesh strainer before serving. Did you take the tea bags out at any point or is it okay to just leave them in for extended periods of time? This looks delicious and we infuse about a 2 gallon container on the weekend and just drink from it each day. Just wanted to make sure if I left the bags in all day it wouldn’t taste “off” towards the evening. Thanks for the recipe! I’m looking forward to trying a lot of these recipes. 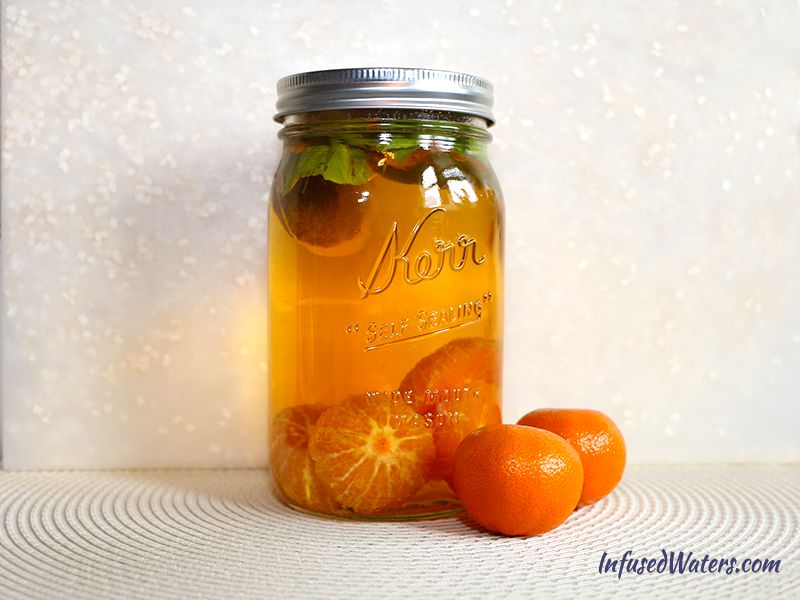 What do you do though with the fruit after you make the infused waters? Do you eat it? Compost it? Hate to just throw it out. Thanks.